The bones of the ankle can break in different places. This is almost always the result of an accident or fall. This results in immediate, severe pain and swelling causes the ankle to become thick. 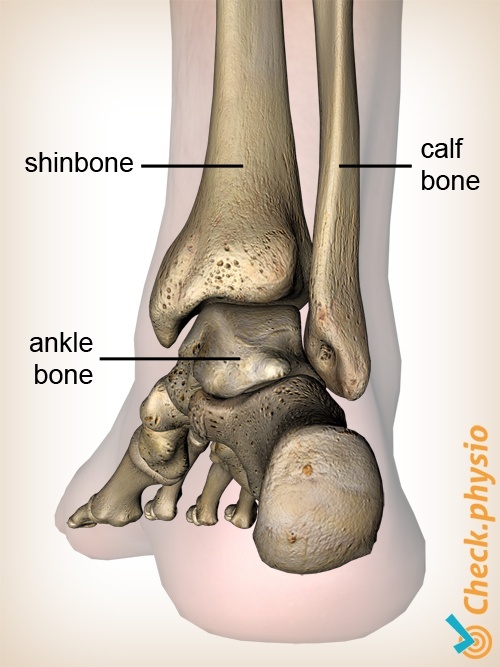 The ankle is formed by the shinbone, the calf bone and the ankle bone (talus). The lowest parts of the shinbone and calf bone together from the ankle fork. The talus is enclosed from the outside by these two bones. We call this section the "talocrural joint". In general terms, the ankle also includes the "subtalar joint", which is located beneath the talocrural joint. An ankle fracture is a break in one or more bones of the ankle. 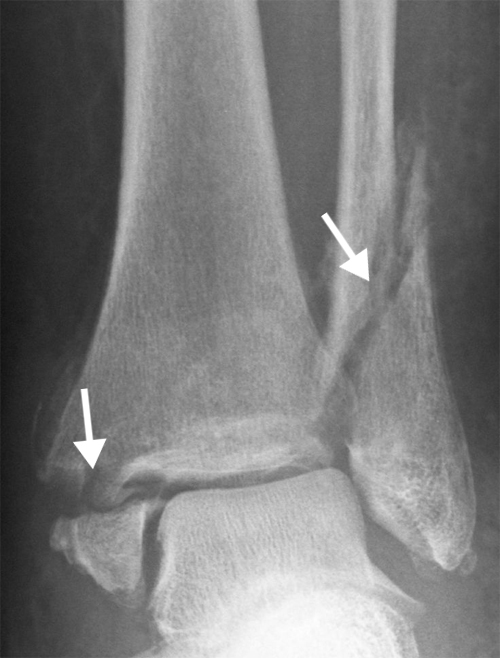 In many cases the calf bone breaks, but breaks can also occur in other parts of the ankle. In severe cases, bones will break in various places at the same time. An ankle fracture almost always occurs as the result of an accident or fall, or following a severe sprain or misstep. The patient often clearly hears or feels something break. Pressure pain on the (broken) bone. Movements of the ankle are painful. The ankle is swollen (bruising). Usually, the patient is unable to bear weight on the ankle (it is impossible to walk more than 4 steps on the affected ankle). The diagnosis is confirmed by means of the physical examination and an X-ray. Many fractures are treated with a cast. This usually takes 4 - 6 weeks. In some cases a surgical procedure may be required. During the operation, the broken bones are positioned correctly and fixed with screws and plates.